John Clark has been a soldier, lifeguard, firefighter, writer, and planning consultant. 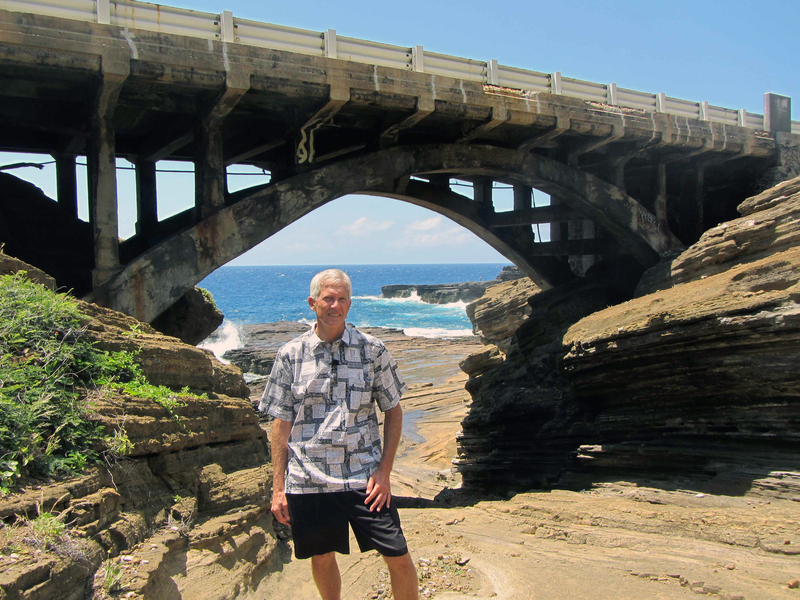 With degrees in fire science, Hawaiian studies, and public administration, the Honolulu CC and UH Mānoa grad has authored 10 books about Hawai‘i’s place names. His most recent, Kalaupapa Place Names: Waikolu to Nihoa was published this year by the University of Hawai‘i Press. Your range of experience after high school is amazing. What do these different pursuits have in common? 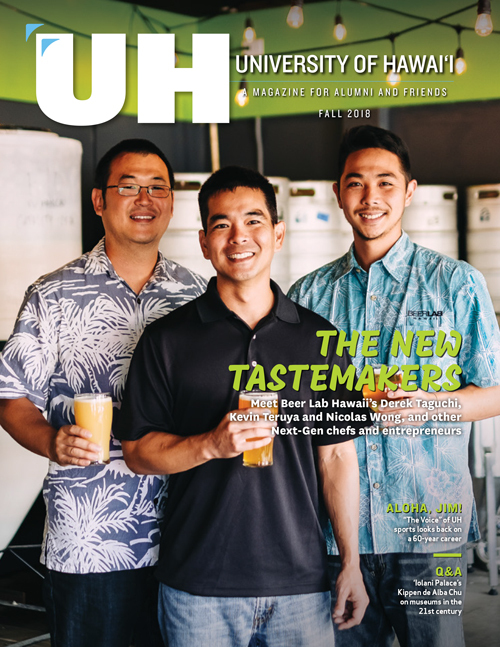 I started at UH Mānoa right out of high school. I went there for two years, then dropped out and served two years in the army. When I got back to Hawai‘i, I was a lifeguard for two years and then joined the Honolulu Fire Department. Once I got into HFD, I went back to school, but to HCC to get my associate’s degree in fire science. Then I continued on at UH Mānoa to get my bachelor’s in Hawaiian studies and my master’s in public administration. I think the common denominator of those different pursuits was that I was willing to give anything a try at least once if I thought there was some value in it for me. It was kind of like that old saying, “You never know until you try.” It’s served me well throughout my life. What surprised you most about college, and what was your biggest adjustment? Right out of high school what surprised me most about college was how much freedom I had. Up until then school had been regimented with consequences for anyone who didn’t follow the rules. In college I was on my own. That was the biggest adjustment for me, learning to be accountable for myself. In what way does your college education serve you today? Each of my college degrees required basic life skills, such as perseverance and time management. They also required me to develop other skills, such as researching, writing, and speaking, all of which I still use today. Why are you fascinated by the names and stories behind our place names? My interest in place names goes back to 1954 when I was eight years old. That’s when I learned to surf at a spot in Waikīkī called Canoes, which is in front of the Moana Hotel, and realized that it got its name from the outrigger canoes that also surfed there. 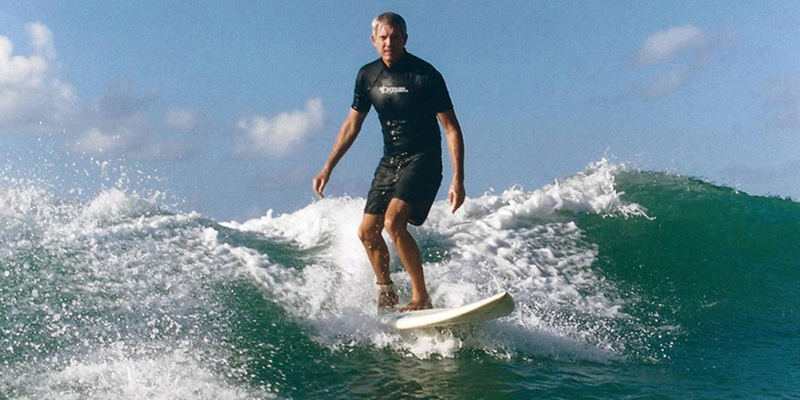 As I got older and better, I surfed other spots at other beaches, and I really enjoyed learning the stories behind the names, and made it a point to remember them. In 1972, when I wrote my first book on O‘ahu’s beaches, I included this information I’d been gathering for so many years, and did the same in the books that followed. Place names capture history. They tell us that for some reason a particular place was important enough to be given a name. They tell us about the people and the culture at the time they were given. They tell us what people were doing, what they were thinking, what was important to them, and what made an impression on them. What’s especially fascinating are the mo‘olelo, the stories behind the names. You really don’t know the meaning of a place name unless you know the mo‘olelo that goes with it. This, however, doesn’t keep people who don’t know a mo‘olelo from making educated guesses based on their own observations, so a key piece of place name research is sorting through the stories to find the original one, if it still exists. What’s something in Kalaupapa Place Names most readers will find surprising? Alfred Nobel invented dynamite in 1867, and by the early 1870s it was used in Hawai‘i for road and tunnel construction. Creative fishermen, though, figured out how to use it for fishing. When you throw a lighted stick of dynamite into a school of fish, the explosion stuns or kills them, making them easy to net. Unfortunately, injuries and fatalities often followed its use, so the Hawaiian legislature passed a law in 1872 prohibiting fishing with explosives. With little enforcement, however, the practice continued, and three Hawaiian-language newspaper articles written in 1886, 1892, and 1908 document blast fishing at Kalaupapa. What do you have in mind for the near future? To go surfing as often as I can. In this video from Hawaiʻi's Department of Education, John Clark takes us on a Kaʻahele Ma Waikīkī, a tour of Waikīkī, and shares its surfing history. He talks about the aliʻi who lived there and loved its waves, the Hawaiian place names of its shoreline areas and surf spots, and the styles of traditional Hawaiian surfing that were practiced there. Ka'ahele Ma Waikīkī offers a truly unique look at one of the most beloved places in Hawaiʻi.